Opening weekend of KAOS Day Club and Nightclub came and went, but many party-goers are still buzzing after the historical headliners and beautiful venue. Cardi B. Travis Scott, Marshmello and The Zac Brown Band all performed the much anticipated opening of Las Vegas’ newest mega club since Omnia Nightclub opened over 4 years ago. What KAOS was going to look like on the inside was a mystery to everyone but industry insiders so the level of anticipation was extremely high. KAOS delivered on so many aspects. The venue is absolutely stunning. It is also functional, which may be its’ greatest asset. With a space that covers over 100,00 square feet it may have been a harder task than you may expect. The headliners, delivered impactful performances and connected with the audience in what felt like a very intimate venue despite its’ massive size. Finally, customer service from the minute you entered KAOS was second to none. The staff was obviously well trained. Many of the KAOS staff were hand-picked from other Las Vegas venues such as TAO Beach, Drais Nightclub and Hakkasan Nightclub. Enough can’t be said about how attentive and polite they all were. KAOS also failed on a few aspects. We commended the staff on how we were treated once we were inside the venue. However, the process of getting in was not as impressive. There were people waiting to get in that purchased Cabanas and Daybeds with a minimum spend of over $10,000 waiting in a line that moved slower than general admission. General admission was also something left to be desired with a line as far as the eye can see snaking through the Palms Casino. All in all, KAOS Day Club and Nightclub will be a force in the Las Vegas nightlife industry for years to come. Its impressive line up of A list performers and exquisite venue will allow it to dominate. Palms Hotel has rebounded from a second thought Hotel & Casino to a destination that will rival any of its’ Las Vegas Blvd competitors with additions such as KAOS, APEX and Shark, Bobby Flay’s newest restaurant. Are you ready for KAOS? The much anticipated opening of KAOS nightclub and KAOS dayclub is finally upon us. Rolling out the red carpet to a who’s who of musical acts to kick off the opening weekend. 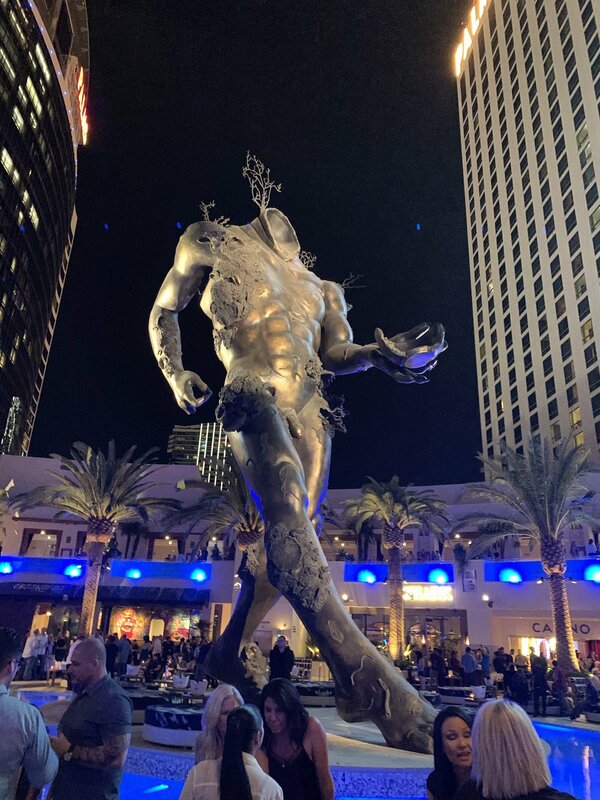 Located in the Palms Hotel & Casino, KAOS has renovated the area which was formerly known as Rain Nightclub, a staple in Las Vegas for over a decade. Marshmello will kick off his 2-year residency as he performs live on Thursday, the opening date of the brand new nightclub. On a night where the line to get in will probably wrap around the building, bottle service is probably the best way to go to enjoy what will be an epic night. Alicia Keys will be in concert at the Pearl Concert Theater to get the festivities started. 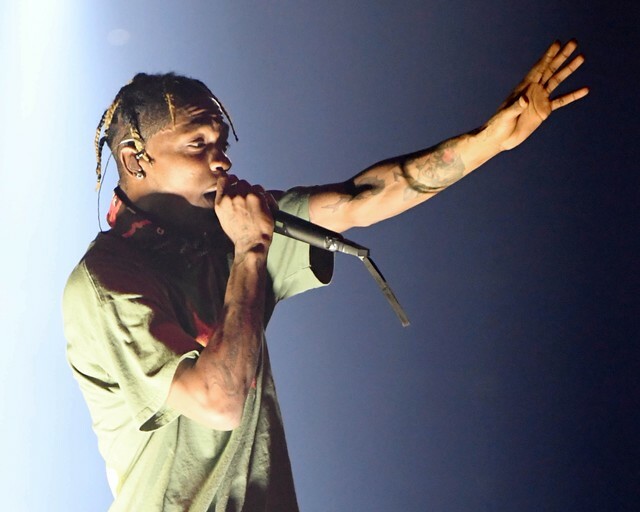 Travis Scott and Skrillex will follow with the first ever concert inside of the 29,000 square foot KAOS nightclub. Can you imagine how insane it will be to witness that? Saturday night will be just as impressive as Grammy Award Winner, Cardi B kicks off her residency at KAOS nightclub. G-Easy and J Balvin will also have electrifying performances. Bottle service will be at a premium this weekend and it is speculated that premium table can go for as high as $50,000 opening weekend. The brand new 73,000 square foot Dayclub, known as KAOS Dayclub, will kick off with Kaskade and Vice spinning at what will be the pool party to be at this Summer. This weekends line-up seems insane but, KAOS executives hint at the fact that this will be a regular occurrence at Las Vegas’ newest nightclub and dayclub. If they can pull off anything even remotely close to this, we are in for a wild ride!